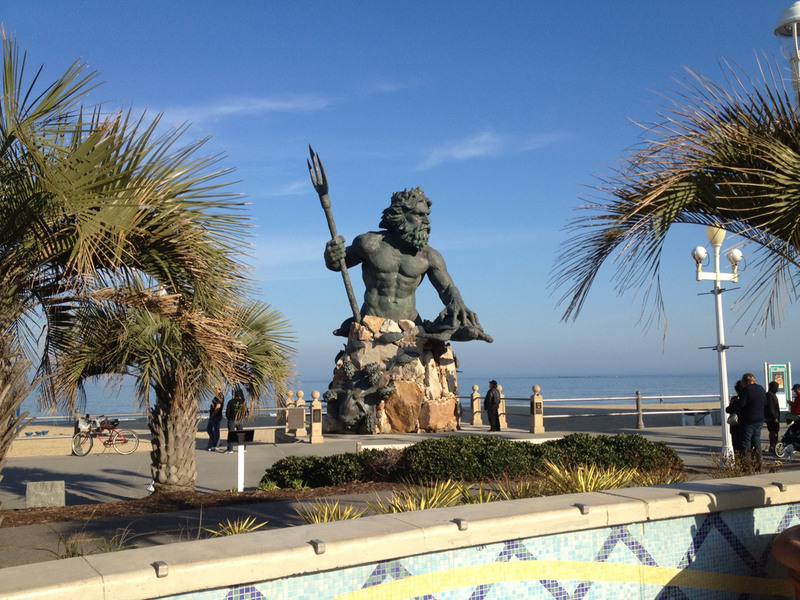 King Neptune is a colossal 34-foot-high bronze statue that rises from the depths of the Atlantic Ocean at 31st Street & Atlantic Avenue, overlooking Neptune Park. 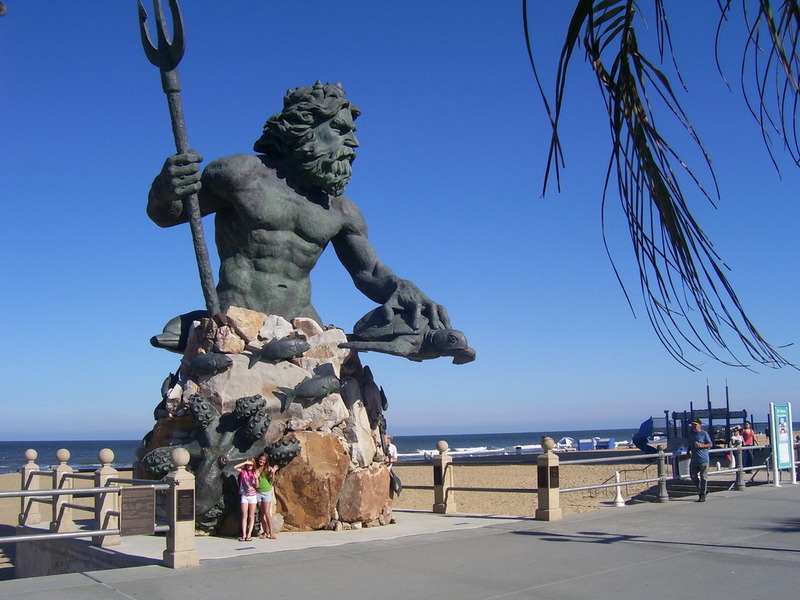 The King Neptune statue was built in honor of the Neptune Festival, which is a local festival held each September. 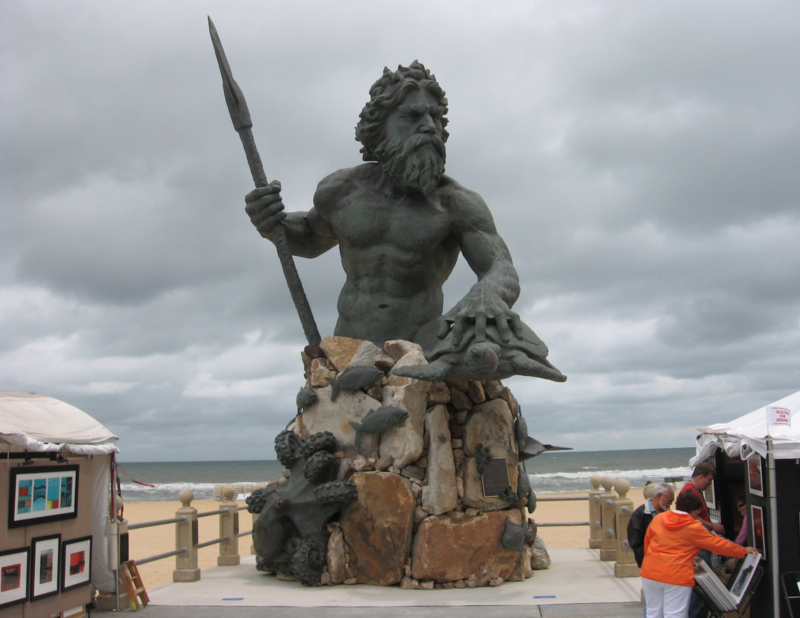 Volunteers of the popular annual Neptune Festival wanted a statue that honored the festival. 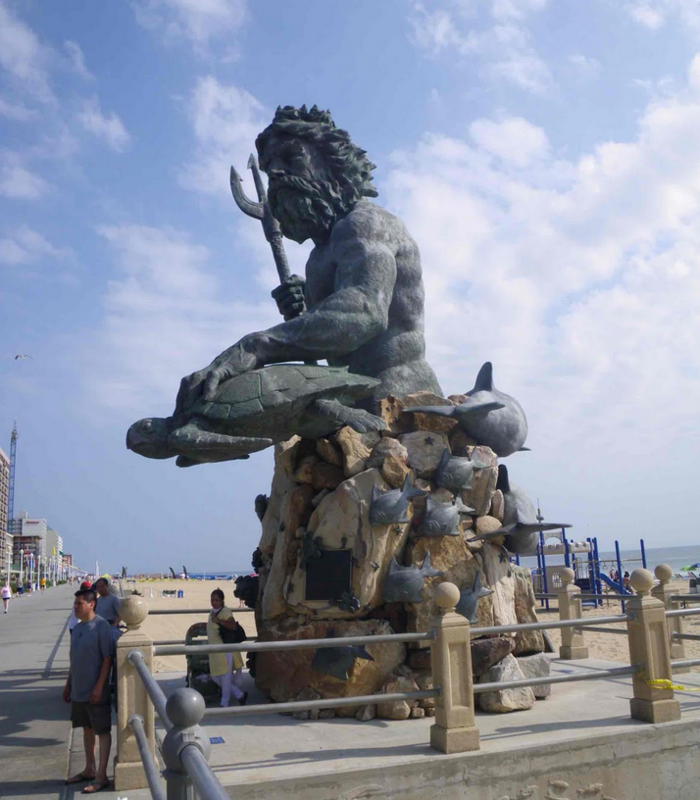 They raised private funds and commissioned Richmond artist and sculptor Paul DiPasquale, who not only designed and created the massive statue, but accompanied it to China, where it was cast in bronze.